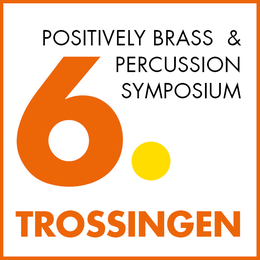 Participation: Any registered participant in the 5th Positively Brass & Percussion Seminar may take part in this competition who was born after 3 October 1996 Students at the University of Music in Trossingen may not participate in the competition. The prior winners of the main prize can not take part in the competition again. A maximum of 18 participants will be admitted for the competition. Fee: The fee for participants who want to register for the competition is 40 Euros. The decisions of the jury are final and cannot be contested. Prizes: The prize money for the main prize is 1500 €. There will be additional prizes and special prizes for special achievements. The prizes are not influenced by the age or instrument of the candidate. The jury reserves the right to abstain from awarding a prize or prizes.